Check out this amazing new mask tech from California Costumes! The mouth moves with your jaw for a real-life look that will scare the living daylights out of your friends and enemies. A great addition to your Halloween costume! 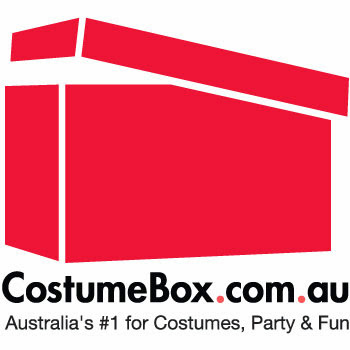 For more info, check out this video and visit CostumeBox.com.au online. Just in time for Halloween, check out the amazing selection of Contact Lenses from CostumeBox.com.au - from character lenses like Darth Maul and Batman, to lenses that highlight your eyes - like the Big Eyes range. A great way to add detail to your costume or dress up your eyes for a big night out. These are all professional quality contacts, and come with a storage case and instructions for wear and care. Most are reusable for at least 3 months if you store and care for them correctly. Check out the range in this video below, or click through to CostumeBox.com.au to shop online with super fast delivery right to your door. When it comes to classic Halloween costumes, some of the top picks are licensed from movies. Characters like Beetlejuice, Jason Voorhees, and Freddy Krueger have been top sellers for decades now, and come in sizes suitable for men, women, kids and teens. Check out the selection available at costumebox.com.au by clicking on the movie titles below - everything from costumes, wigs, and make up, to decorating and party supplies.